From the age of 40 our bones tend to gradually lose their density and while this is a natural part of ageing, it is important to monitor any loss and assess if action needs to be taken. Many community pharmacies offer this service as well as providing follow-up advice and counselling. Bone Density Testing or Bone Mass Measurement is a non-invasive medical procedure used to determine bone density or strength. 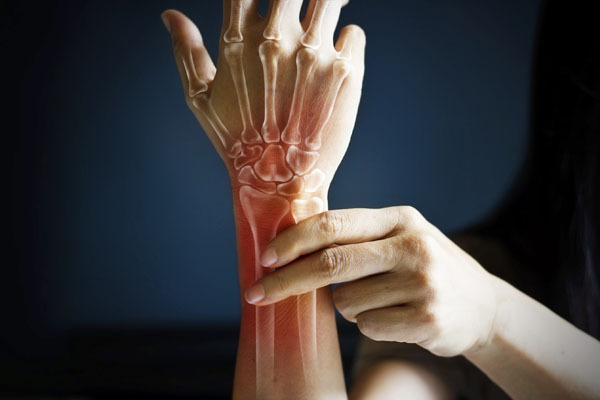 The testing is primarily aimed at people who have a risk factor for osteoporosis, a vertebral deformity or osteopenia (decreased bone density), people who have had a previous fracture or those who are post-menopausal and concerned about osteoporosis. Importantly, bone density testing can identify osteopenia or osteoporosis and the risk of future fractures. In fact, a bone density test is the only test that can diagnose osteoporosis before a broken bone occurs. The test tells you if you have normal bone density, low bone density or osteoporosis. The lower your bone density, the greater your risk of breaking a bone. So a bone density test can help you and your healthcare provider learn if you have weak bones or osteoporosis before you break a bone and also predict your chance of breaking a bone in the future. A test can also see if your bone density is improving, getting worse or staying the same. It can also find out how well an osteoporosis medicine is working and let you know if you have osteoporosis after you break a bone.